Swim, bike and run coaching - or any combination. Bike Set-up, comfort and efficiency are key foundations. Guided and Supported Training Camps. NLP Workshops, Neuro Linguistic Programming is successfully used to help athletes overcome mental barriers to top performance. VerinesVelo believe that achievements in sport can change peoples lives forever, read our blog articles for proof of how far determination and individual coaching and support can take you as an athlete - whatever your goals. 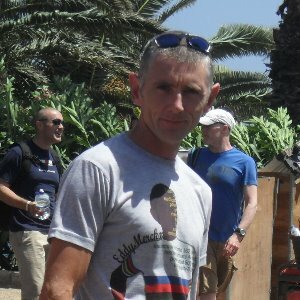 Coach Chris has competed as a cyclist for over 30 years in most disciplines within the sport including Time-Trials, Cross Country mountain biking (XC up to solo 24hr events), Road Racing and Criteriums in the UK, US and Europe. He completed his first triathlon in 1988, is also a 3 time finisher at Ironman Lanzarote, as well as many other full distance races. He created Pembs300 a multi - day, multi ultra distance run of the 186 mile (300km) Pembrokeshire Coastal Path in West Wales UK. He has competed in multi day ultramarathon run events and races at all distances from 5k to 24hr. To provide the best possible advice and service we hold qualifications relevant to the sporting demands of our athletes. Our knowledge is kept current and valid by attending CPD workshops, wide ranging research and a drive to help all of our athletes achieve their goals – whatever they may be. Athletes motivated to work consistently towards achieving their agreed goals. Success. Coach Chris Tasker has been notified of your message.